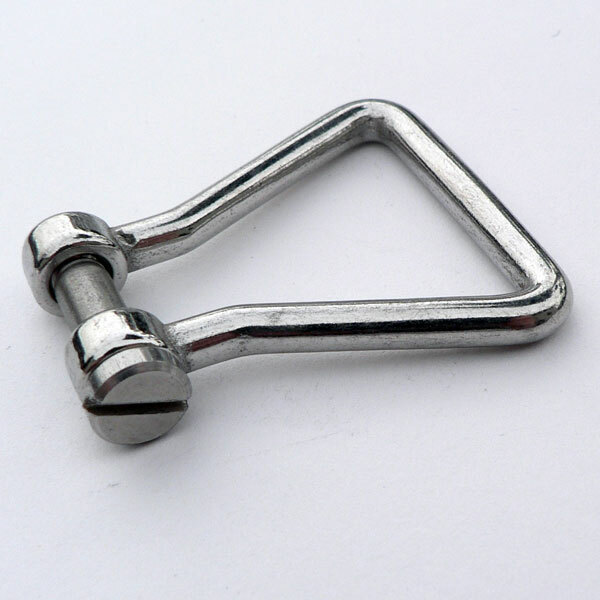 Web Shackle - 1 "
This part is intended to provide a secure and strong termination for 1" webbing assemblies. 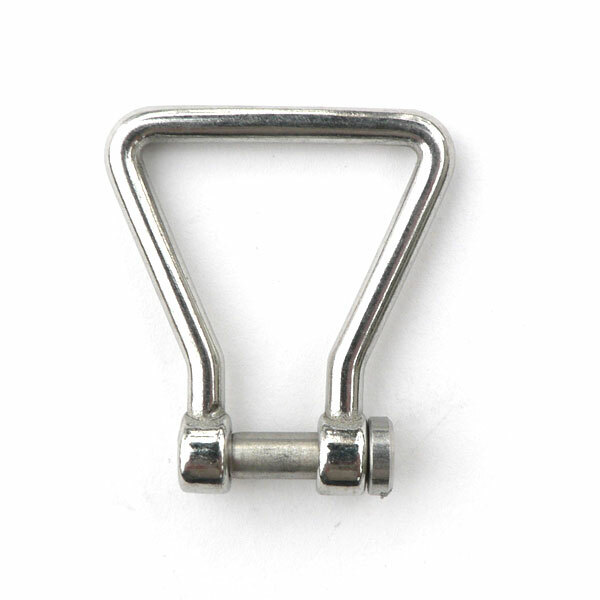 The screw pin will attach to our stainless steel chain, rings, clips and the Wall Clip (BPS0230-0000). 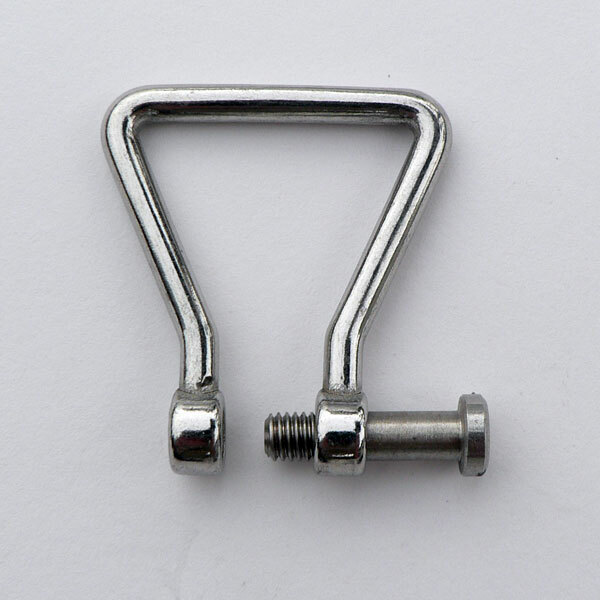 It will also mate to the hook end of the stamped flat hook (BPS0210-0025).